Meet Charles, he is the CEO of an international corporation. His company owns and operates numerous chemical and petrochemical plants across the world. Charles wasn’t sleeping too well at night. A number of his facilities had suffered leaks following scheduled maintenance shutdowns. In one case, a leak allowed poisonous chemicals to seep into the ground, endangering the water table and the press had got hold of the story. 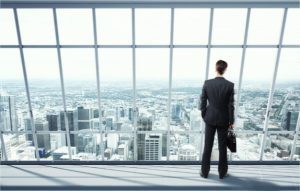 His board and share- holders were pressuring him to find a solution as the company share prices and public image tumbled. He ordered an immediate investigation into why the leaks had occurred and how they could be avoided in future. A short time later, in an emergency meeting with his health and safety and technical teams, the worrying truth was revealed. Despite the hundreds, if not thousands of joints boxed up each year on their sites hold- ing back a variety of nasty liquids and gasses, there was a missing link and numerous weak links in their bolting procedures. 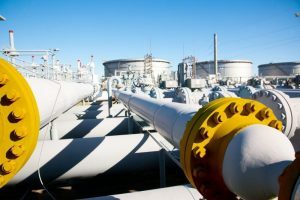 For quite some time they had manually recorded the joint information, technician, tooling, torque applied during each bolting process and the information was then up- loaded into their flange management system at a later date. On the face of it, the procedure appeared to be func- tioning correctly but after digging deeper the flaws be- came apparent. There was lots of scope for the data to be recorded and then uploaded incorrectly but far worse, there was no record of the actual load applied to the bolt. The theoretical torque or tension was recorded but the link between the target and actual didn’t exist. In the cases where the leaks had occurred, it was identified that the root cause was that the actual load didn’t match the recorded data on one or more bolts. Charles had always told his team “if you bring me a problem, bring along a solution at the same time” and for this reason, his team introduced Torq-Comm. The Torq-Comm Commander XT system bridged that gap, accurately recording and storing joint data including the actual load applied to each and every bolt. 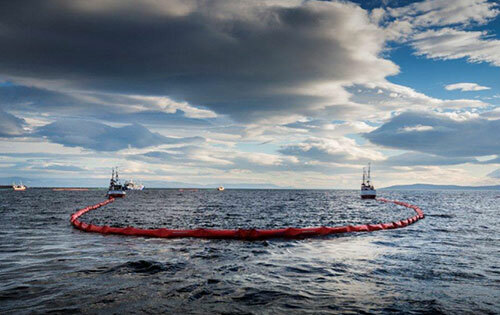 Use of the system was implemented across the organization closely followed by zero leaks. Now, do you think that Charles cared that the Commander XT is user friendly, rugged, cloud based and allows an engineer to monitor the bolt- ing operation from the other side of the world? No, all he cared about was that the final result was zero leaks on his plants and an increase in the company share prices and an improved public image. In this regular feature, we will be introducing one member of our rapidly growing team of global partners. We work with a wide range of partners from OEM’s to exclusive distributors with one common denominator—we ensure all our partners are fully trained and supported before unleashing them on you. This ensures you will receive the same sup- port from them as you would if you contacted our techies and boffins in our US headquarters.This editions spotlight is on our exclusive distributor for Denmark and Sweden, EP Tools AS. 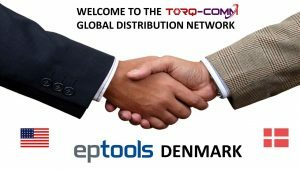 Based in Denmark, EP Tools supply a wide range of complimentary products from Torque Tools to Lifting Equipment. They have an impressive client base across a range of industries, supplying the likes of Statoil, Maersk, Siemens and ABB in the Oil & Gas, Wind and Mining secors, amongst many others. We are sure you will join us in wishing the team at EP Tools AS every success. Our title may seem like a strange comment at face value, particularly if you know Torq-Comm but from our client’s point of view it is actually true. Just like when all of us buy something we need, it is not actually the item we buy that we need but the outcome it creates. 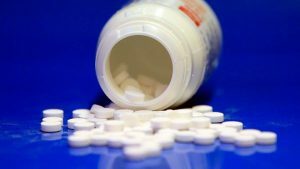 We don’t buy pain killers because we need them, we buy them for the final outcome – relief from the headache. Yes, our devices are rugged, handheld and easy to use. Yes, our software is cloud based and user friendly. The list of USP’s goes on and on but in reality, the decision makers and the engineers who are committing to the use of this technology and really buying into what it can do, are looking for just one final outcome. All they are interested in, is the final outcome – the report. The report is a document cast in stone, recording all the who, what, when and how’s from every bolting procedure. It provides a record fixed in time that verifies the process was done correctly and can be referred to at a later date. No pressure and load data can be manually entered at any stage, by anyone, however senior. The data collection and software systems are incredibly user friendly however, with these two controls in place, the content of the report is 100% guaranteed to be a true reflection of what happened on the job, reliev- ing many traditional headaches in the process. 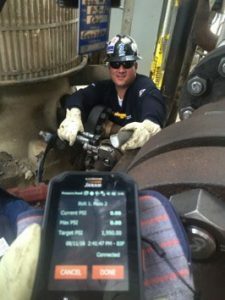 It is this guarantee and peace of mind that is leading more and more decision makers to commit their organizations to using the Torq-Comm Commander XT Data Acquisition and Software Systems.